Proudly Serving the DC area community for 18 years! Deluca Massage & Bodywork was established in 2000 and has been servicing the DC area community ever since. We are located right in the heart of Dupont Circle featuring 13 unique massage rooms to offer you an escape from your busy life to a world of relaxation. We believe that a therapeutic massage is not a luxury but a complement to your lifestyle and well-being. 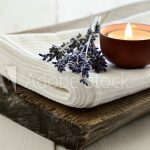 Book your massage online and view massages pricing at our booking page. Each one of our staff members are licensed massage therapists who have gone above and beyond in training. Massage and bodywork are often complex mixtures of holistic healing practices involving physical, emotional and spiritual components. The Swedish massage therapy involves soft, long, kneading strokes on the topmost layers of muscles. By relieving muscle tension, Swedish therapy can be both relaxing and energizing. Sports massage uses a variety of approaches to help athletes in training before, during or after sports events. It promotes flexibility and help prevent injuries. It aides healing after sports injury. Energy Healing can empower you to feel a deeply relaxed sense of relief and comfort by clearing your aura, balancing your chakras and raising your energy and sense of well-being from negative to positive. This is the most commonly used technique for Quick Massage. It is particularly suitable for fast calls in urban areas where time is the essential. A 15-20 minutes is sufficient for customers to recover from the stress of day to day fast paced workday routines. Give the gift of Relaxation with Deluca's gift cards! Yesterday I went to Deluca for the first time. I cannot say enough good things about the place. The place itself is welcoming, classy, clean and very relaxing. My masseur Azziz, was amazing. He listened to why I was there, gave suggestions to what massage I should consider, and gave me the best massage I have ever had. I am 100% sure, I will be going back to him. I have already told my friends about Deluca and Azziz. Fantastic experience. I was given a gift certificate to Deluca and was very lucky to have Nivea Eppstein as my LMT. I have a 9 month old so my lower back and the side I carry my child on most needed extra attention. Nivea was very attentive, checking to gauge the right pressure, and ensuring I was comfortable the whole time. I haven’t felt this relieved in a long time. Overall Deluca service was excellent and an impressive selection of therapy options. I’ll be going again. Tim was magical! He knew exactly what to do for an old shoulder injury, and did a fantastic full-body deep massage! The front staff were very friendly & the place is perfect! Highly recommended! After seeing other massage therapists, I am convinced that Eric is the most skilled therapist/healer that I have ever encountered. Two months ago, I arrived in pain, barely able to walk from the Dupont metro station. 90 minutes later, I am able to move in comfort and can actually enjoy the rest of my evening. Now we’re at the point where he’s moving on from dealing with my immediate back and hip issues to getting me healthy enough to start a workout regimen. I want to give the highest recommendation to Eric and the rest of the staff at Deluca Massage. Deluca has a lovely and low-key atmosphere. I had a 60 minute deep tissue massage with LaTrice and requested a focus on my back and neck to help with tension headaches. LaTrice was very receptive and did a wonderful job loosening up knots. I walked out feeling an inch taller. Thank you!